Mr Consistent!!! "Super On Pace NSW Provincial Country Sprinter"
BEST FORMLINES: "Super Chase", "Valknut", "Eyesaw", "Seaclaidi" & "Magic Is Might"
MAGNUS (AUS) (Bay 2002-Stud 2008). 4 wins to 1200m, AJC Galaxy H., Gr.1. Sire of 439 rnrs, 309 wnrs, 19 SW, inc. Malaguerra (BTC Cup, Gr.1), Magnifisio, Great Shot, Enbihaar, Platinum Kingdom, Princess of Queens, Magnapal, Rio del Mar, Prince of Brooklyn, Miss Promiscuity, The Alfonso, Volcanic Ash - Volcanic General (Mal. ), Malibu Style, The River, Streets of Avalon, Constant Justice, Alpha Beat, Missy Cummings, Prettyhappyaboutit, etc. Tiny's Legacy. 5 wins from 1400m to 1600m, A$201,310, MRC Sportingbet Best Tote H., 3d VRC David Bourke Provincial P., MRC Join Willhillwolfpack H., Ballarat TC Hygain H.
Balaclava Lady. 2 wins at 1300m, 1400m, A$135,220, MRC TMB Printing H., 2d VRC Hyland Race Colours 2YO H., MRC (Mornington) Join as a Member H., 3d VRC Riverside H., 4th Moonee Valley Fillies Classic, Gr.2, VRC Lexus Hybrid P., L.
Arthurian. Winner at 1600m in 2017-18 in Aust. Viking Ransom. Winner at 1300m in Aust. Lady of Flanders. 3 wins-1 at 2-at 1200m, 1300m, A$166,510, to 2018-19, MRC Pamela Hutterer H., Ladbrokes Odds Boost H., 2d MRC Comcater 2YO H.
Woodwin (g. by Danewin). 5 wins from 1200m to 1600m, A$128,835, VRC David Bourke Provincial P.H. Born to Hustle (c. by Mukddaam). 2 wins at 1400m, 1600m, TTC Shaw Land Developers H., 3d TRC Bridles Restaurant H.
Buzzwin (g. by Danewin). 4 wins from 1100m to 2100m, A$82,128, 3d MVRC Curran Chemicals H.
Plain Tom. Winner at 1300m in Aust. Mollara. Winner at 800m in Aust. Nordic Noir (g. by Magnus). 3 wins. See below. Shilly Shally Miss (f. by Artie Schiller). Winner at 1450m in Aust. Enchanted Forest (f. by Rustic Amber). Winner at 1100m in Aust. Zindablake. 3 wins from 1400m to 1600m in Aust. Blue Stream. Winner at 1600m, 2d WRC New Zealand Post H.
FIL DE ROI (Roi Lear). 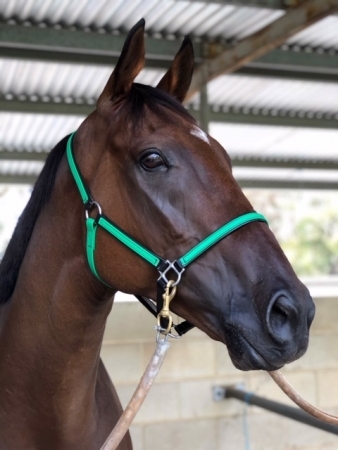 8 wins from 1850m to 2600m, A$238,370, VATC Herbert Power H., Gr.2, Werribee Cup, L, Murray Bridge Gold Cup, L, Geelong Cup, L, SAJC Cyron H., 2d VATC Herbert Power H., Gr.2, SAJC Rumpus Room H., 3d SAJC Rain Lover P., Gr.3, VATC Heatherlie H., L.
Blue Baron. 9 wins from 1000m to 1650m in NZ and HK, HKJC San Miguel H.
Ben Battle. 4 wins from 1200m to 2100m, TRC Brallos H.
Lunar Halo (Mercury). 3 wins to 1250m, WATC Dandy Andy H., 2d WATC Lawry H., Veterans Health Week H., Sunfast 2YO H., 3d WATC Champion Fillies S., Gr.3, Bardeur H., Potential 2YO H., Gallipoli 2YO H.
BLUE BLOOD (Copenhagen II). 17 wins at 1200m, 1400m, NZ$80,310, ARC Railway H., Gr.1, WRC Telegraph H., Gr.2-3 times, ARC Newmarket H., Harp of Erin H., Electric H., Bowen H.-3 times, Avondale JC Fred Smith H., Waikato RC Grandstand H., BOP RC June H., Whangarei RC Thoroughbred Transport H., 2d ARC Railway H., Gr.1-twice, George Adams (Tatt's) H., Gr.2, Avondale Guineas, Gr.3, Opunake RC Ernie Poole Memorial S., L, Te Aroha JC All Aged S., L, 3d Hawke's Bay Challenge S., Gr.3, Avondale JC Concorde H., L-twice. Race Record: 42 Starts 3-6-7 A$87,688. 3 wins at 1200m, 1300m, A$87,688, to 2017-18 in Aust. (12.1) Seymour RC Puckapunyal Army Cup Day Maiden P., A$19,500, 1200m, time 1:14.67. Track soft(7). Carried 58.50kg. Auro was 1st and Nielson 2nd and Do as I Do 3rd. Trainer: N A Blackiston. Owner: Ms S C A Lawrence & R Wilkinson. Jockey: D Yendall. (7.5) Bendigo JC Bridge Hotel H., A$16,000, 1300m, time 1:17.37. Track good(4). Carried 59.50kg. Peppermint Lane was 1st and Bomarzo 2nd and Silent Man 3rd. Trainer: N A Blackiston. Owner: R Wilkinson. Jockey: C A Robertson. 19/Dec/2016 4th of 8 --trial--Narromine TC Barrier Trial, 800m. Bonee Tess was 1st and Slate on Edge 2nd and Spatha 3rd. 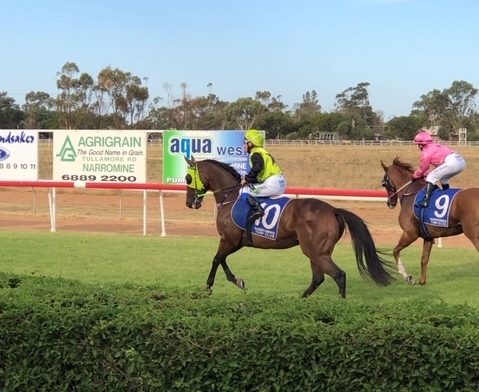 (7.0) Coonamble JC Baradine Cup, A$27,000, 1400m, time 1:25.03. Track heavy(10). Carried 54.00kg. Hammoon Bridge was 1st and Austin 2nd and Quietly Confident 3rd. Trainer: M E Jones. Owner: M E Jones, H J Smith & S G Smith. Jockey: G M Ryan.